Plagiarism is the the lack of attributing intellectual ideas and creative works to their creator. We can criticize, comment, report, build upon and teach using ideas of others, but we need to ensure that we are crediting the author or creator properly. This way, when other people go to use our intellectual work they can credit us as well and trace back to the intellectual works and ideas we found interesting and helpful. Consulting your instructors when you are unsure about how to acknowledge the contributions of others to your thought and writing. Read the full Brown Academic Code of Conduct and Academic Integrity. 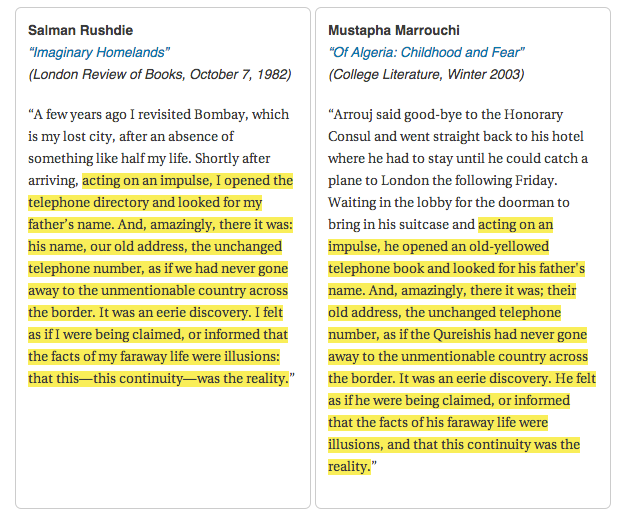 Here is an example of plagiarism where material written by Mustapha Marrouchi in 2003 is compared to text written twenty-one years earlier by Salman Rushdie. Marrouchi copies Rushdie's orignial text nearly word for word and does not reference the original. Not all plagiarism is this blatant, however. Merely paraphrasing an idea without attribution is still considered to be plagiarism. Brock Read. 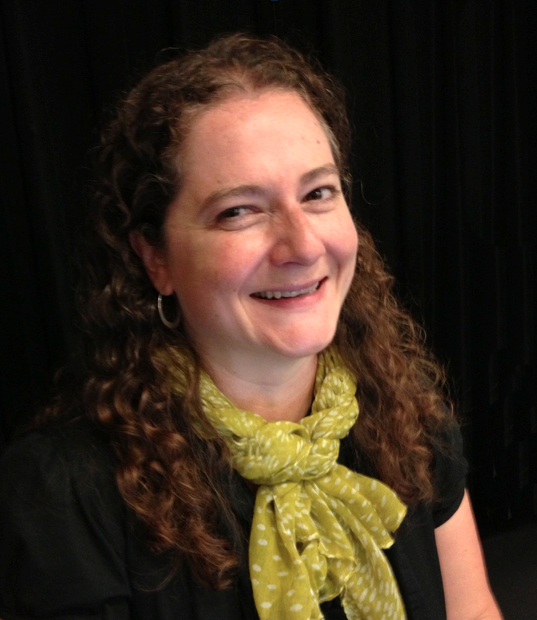 “Anatomy of a Serial Plagiarism Charge.” The Chronicle of Higher Education, Aug. 21, 2014. Our Norwegian friends explore the consequences of plagiarism. Have a look-- you won't be disappointed! University of Bergen. (2010). Et plagieringseventyr. Retrieved on April 6, 2015. Jeff Hancock. (2012). The Future of Lying. TEDxWinnepeg. Retrieved April 6, 2015.